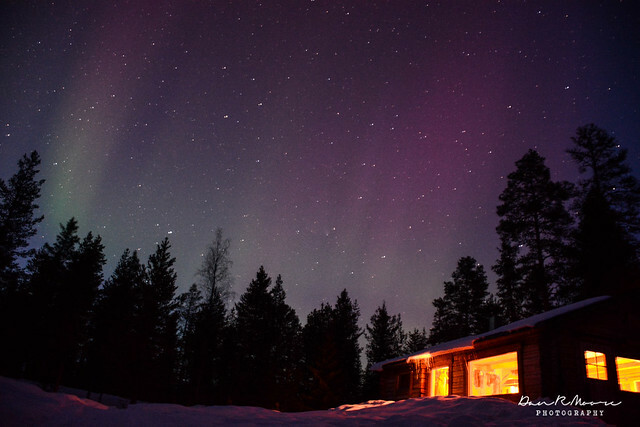 When we first booked our plane tickets to Stockholm, we had no intention of making the journey up north to Lapland. To be completely honest, I don’t think we even knew where Lapland was. But when we learned that the Northern Lights were visible there through the start of April, there was no question about it—we were going to the Arctic. 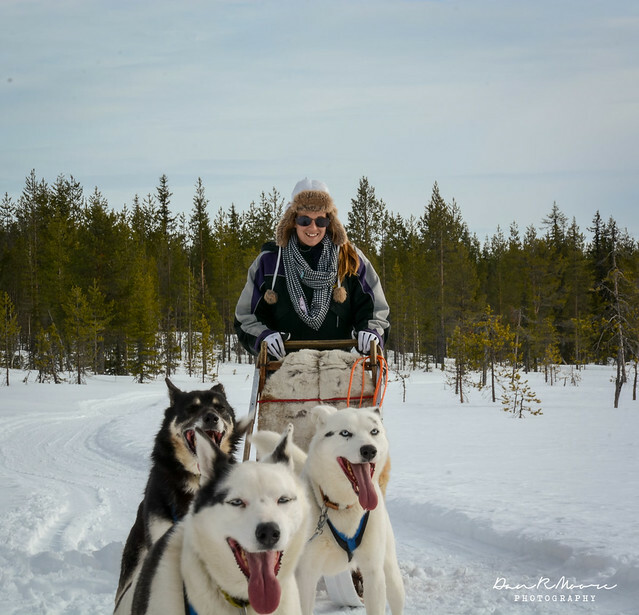 We soon discovered that there was a lot more to Lapland than just Aurora hunting, and we became captivated by the endless ski, snowmobile, dog sled, and snowshoe opportunities waiting for us. Traveling to this region would be a completely new adventure for us in every sense of the word. We were still secretly hoping that the impetus behind the trip—to see the lights—would be possible, but we also had to remind ourselves to be practical. 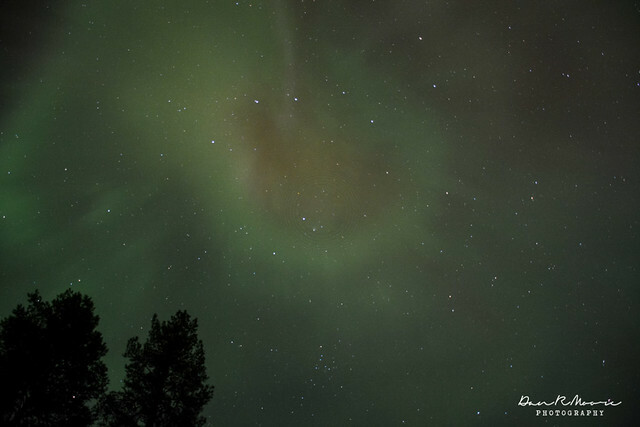 There was a large chance that we wouldn’t see any Northern Lights during our two-week stay. February had been so cloudy that no one saw any lights for the entire month. There was just no way to know for sure. In the end, we were extremely fortunate. Some nights were better than others, the lights colorfully dancing throughout the sky. Other nights we could only distinguish the lights from the clouds when we looked at the playback on the camera. But there was no question about it—we saw the Northern Lights. Seeing the Aurora was in many ways a dream come true for us. But throughout the experience we learned a lot about what it’s really like to witness them. And spoiler alert: it’s not like the photos you’ve seen before. Below is a bit of a guide, along with more details about our personal experience. 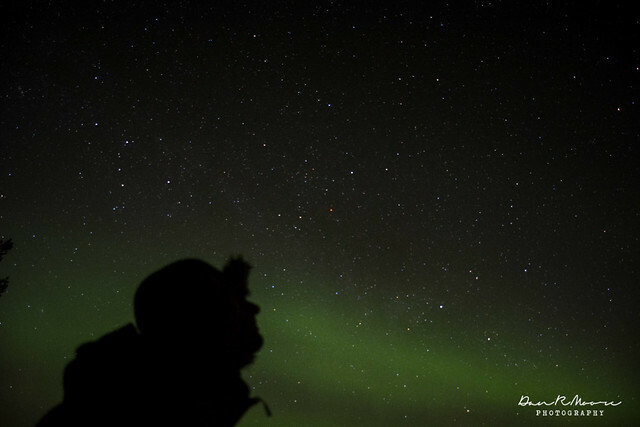 We hope it will prove helpful if you find yourself venturing out on an Aurora safari of your own! The most popular places for Northern Lights chasing are Sweden, Norway, Finland, Iceland, Canada, and Alaska. The farther north you go, the better your chances (normally). We saw the lights outside Junosuando, Sweden, and Muonio, Finland. 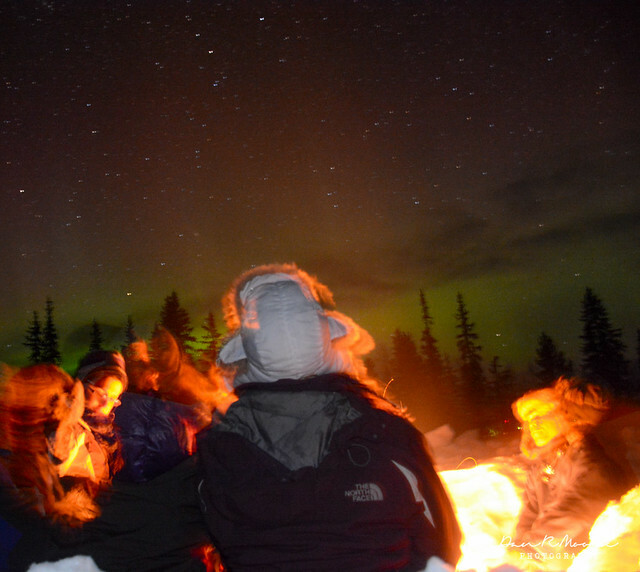 The best time to see the Northern Lights is on a dark, clear night. Most tours run from September to March, though sometimes it’s still possible to see the lights in early April. As the sky begins to get brighter in the spring and summer months, the ability to see the lights decreases. The lights can appear—and then disappear—at any moment. However, typically there are two waves throughout the night, one a bit earlier around 10:00 and one around or after midnight. If you are able to see the lights once, it is a good sign that you will be able to see them again later in the evening. These aren’t the rules though—you never know what will happen. 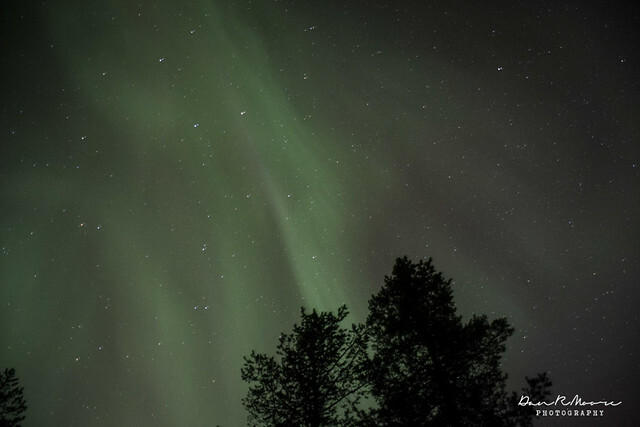 A Tripod – Keeping your camera still is crucial for capturing beautiful Northern Lights photos. Find a tall sturdy model that you can stick in the snow. A DSLR Camera – Hate to break it to you, but your camera phone just won’t cut it this time. You’ll need a camera with a shutter speed of at least 10 seconds; 30” is more ideal. Warm clothes – We might have resembled the Michelin Man for the past few weeks, but at least we were relatively warm in the process. We’ll be sharing a complete packing guide a little later on, but just know: thermals are your friends. 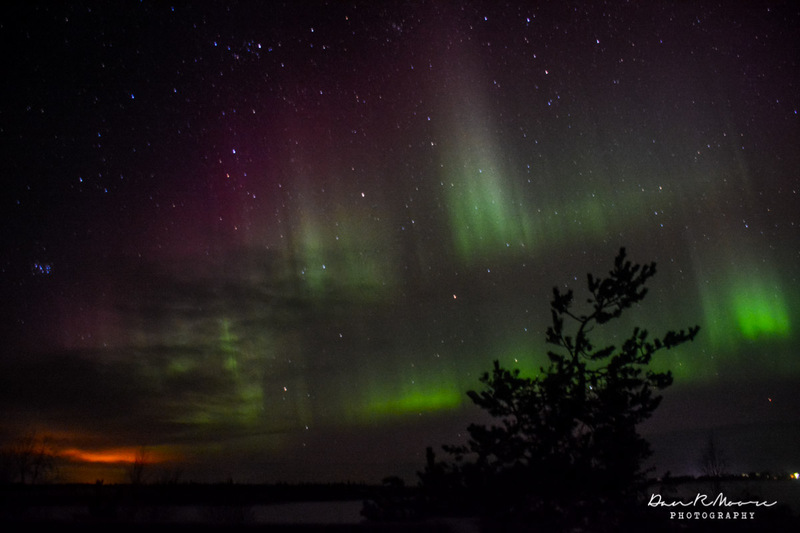 Aurora Forecast uses real-time solar wind data to estimate the strength of the Northern Lights. Auroras Now! is a Finnish website that allows you to put in your email address and receive an alert when magnetic conditions make sightings likely. 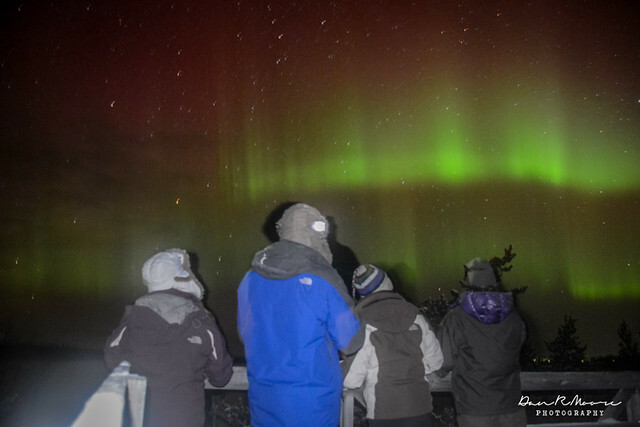 Should you sign up for a Northern Lights tour or guide? 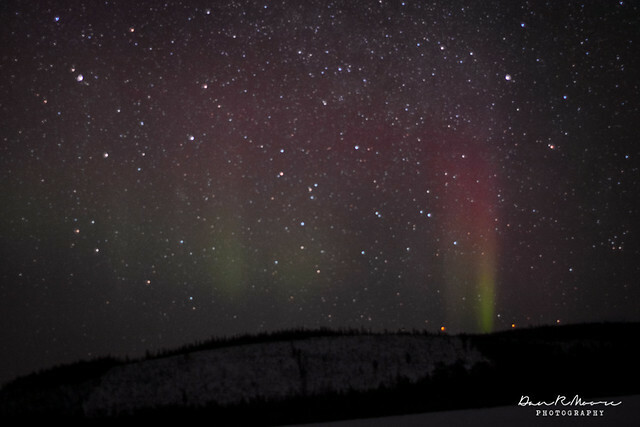 Of course it’s possible to go aurora hunting on your own; however, we don’t recommend it. The best places to view the lights are often far outside the cities and hotels where there is no light pollution. Local guides will know when and where to take you to increase your chances of a sighting. Everyone we met who took a guide saw the lights. Most of the people we met who tried to ‘DIY’ their sightings did not. 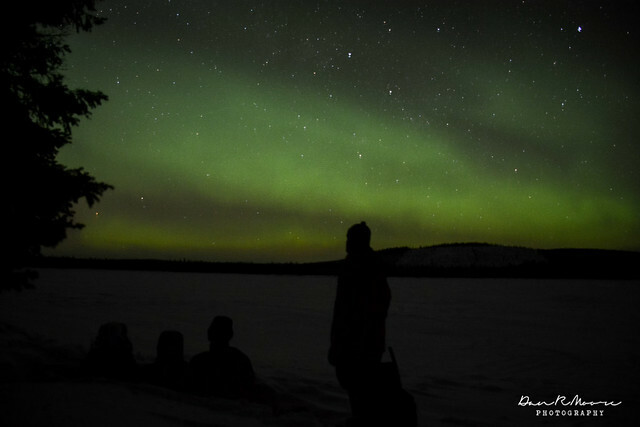 Our first excursion to see the lights was with Aurora Retreat before the start of our wilderness adventure. 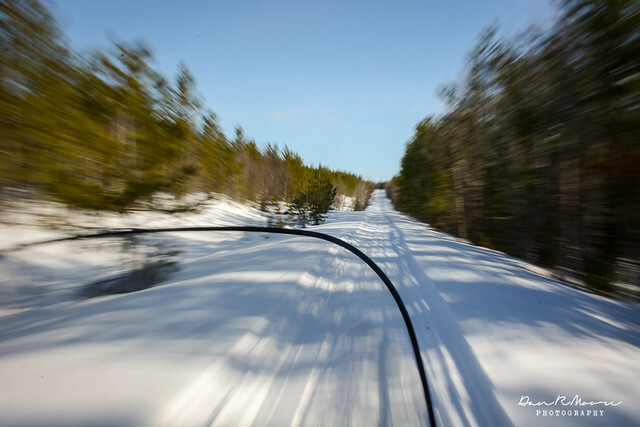 We piled into a sled, which Mikael pulled via snowmobile up into the forest. This was probably one of our favorite sightings. While the lights weren’t as strong, it was easy to see them moving across the sky. Even towards the end of the night, when we had transitioned to drinking hot chocolate around the fire, the green glow was still visible in the background. We also took a memorable trip with Harriniva Hotels and Safaris. We were again pulled by snowmobile, but this time piled high with blankets in a private sleigh. After a romantic ride through the forest, we arrived at a secluded, traditional ‘teepee’. The moment we arrived, the lights began. It was as if our guide had pulled a switch. We soaked in what would likely be our last sighting of the Northern Lights for a while as our guide prepared a fire for coffee and tea in the hut. During our wilderness adventure, we had only sit back and wait for the lights to come to us—which they did. One night the lights were so strong that Leif woke us up at midnight to a stunning green haze illuminating the entire sky, even forming the iconic ‘flower’ above us. This is one of the most important things to know before you go: the Northern Lights are gorgeous, but they are not going to look like the photos you’ve seen before. The human eye cannot pick up the same amount of light as the camera. So while the pictures might show a vivid array of colors filling the sky, you might only see a light greenish/white mist. The colors are there; it’s simply that your eyes cannot absorb them all. Also, the light show can vary. Sometimes they might stream from the horizon. Other times you’ll see them moving across the sky. Sometimes it’s like a fog extending from all angles. You never know what you’re going to get. It’s going to be really difficult—if not impossible—to capture the Northern Lights with a point and shoot. To get the best photos, you’re going to need to shoot in manual mode. Shutter speed controls how long your camera takes the picture. This number should be between 10-30 seconds depending on how strong the Northern Lights and any other lights (buildings, the moon, a campfire) are around you. Experiment with your shutter speed to find your perfect exposure. Aperture controls how big the eye of your camera is. In order to let in the maximum amount of light, set your aperture to as small of an f-stop as your lens will allow. Anywhere from 3.5 to 1.8 will work nicely. ISO controls your cameras sensitivity to light. 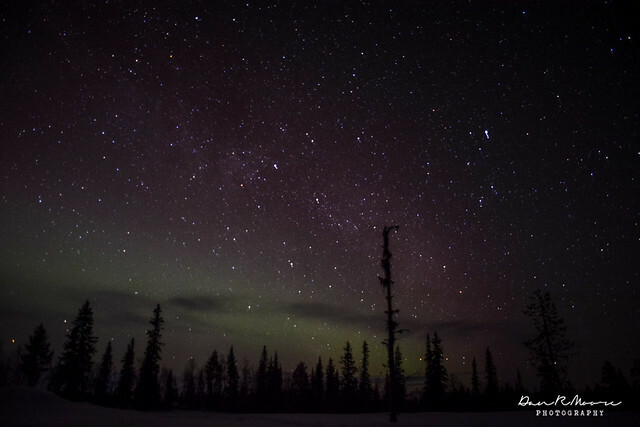 For any nighttime photography, but especially for the Northern Lights, you’ll need to push your ISO up to either 3200 or even 6400. The best cameras can still have a tough time focusing in low light. Even if you nail all your other settings, your camera can refuse to take a picture if it can’t find anything to focus on. To avoid this, set your focus to manual and move it to infinity or as far in the distance as it will go. Alternatively, you can focus on the horizon before sunset then flip your camera to manual focus. This will also set your focus at infinity. I already noted that you’ll need a sturdy tripod to avoid shaking, but there’s one other pesky problem that may cause your image to blur ever so slightly: your finger. When you push down the shutter, your camera may move. It happened to me, and it was extremely annoying. You can set a timer for 2 seconds so the camera is guaranteed to be still or use a remote to snap the photo. So is it worth it to try to spot The Northern Lights? Most definitely!! The Northern Lights are absolutely amazing, and in our opinion they do live up to the hype that surround them. Having the chance to see them in person is certainly a once-in-a-lifetime, bucket list worthy opportunity. Just be prepared that you never really know what you’re going to get, and be ready to enjoy the experience regardless! 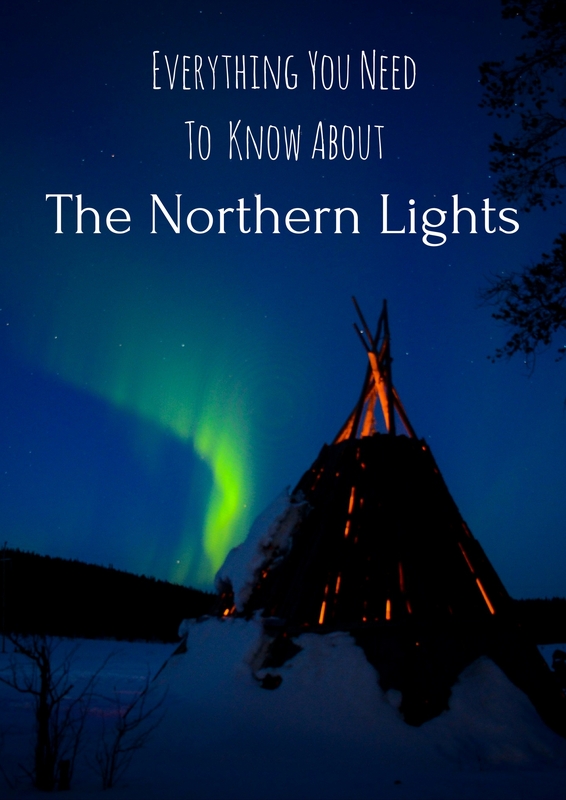 If you’re not sure how to start planning your own Northern Light safari, we highly recommend the two family-run businesses we went through. 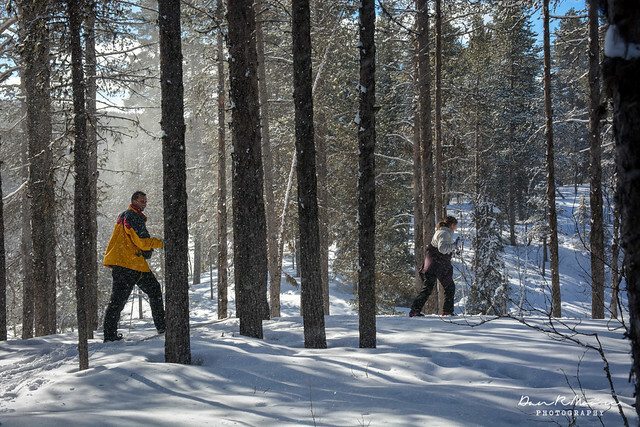 You can’t go wrong with Aurora Retreat; their Wilderness Retreats promise a high chance of sightings from the comfort of your cabin. If in Western Finland, Harriniva Hotels and Safaris is the obvious choice. They boast a variety of custom packages, as well as an Aurora Alarm to inform you if a sighting is likely. So tell us! Is seeing the Northern Lights on your bucket list? 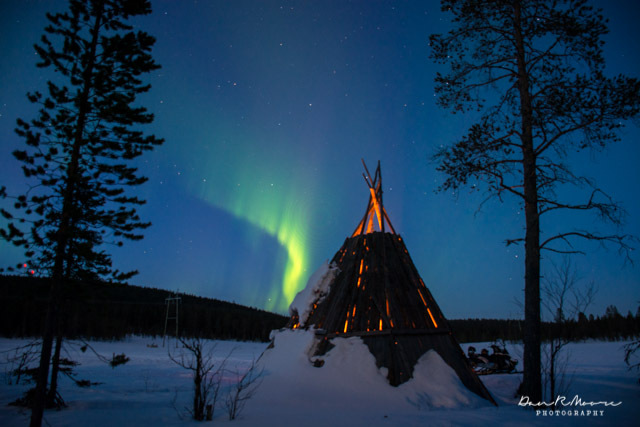 This post wouldn’t be possible without Aurora Retreat and the Visit Finland Tourism Board. As always, all thoughts and opinions are our own. Hope you get the chance to see them soon! Glad our tips were helpful :D It’s definitely an amazing experience! 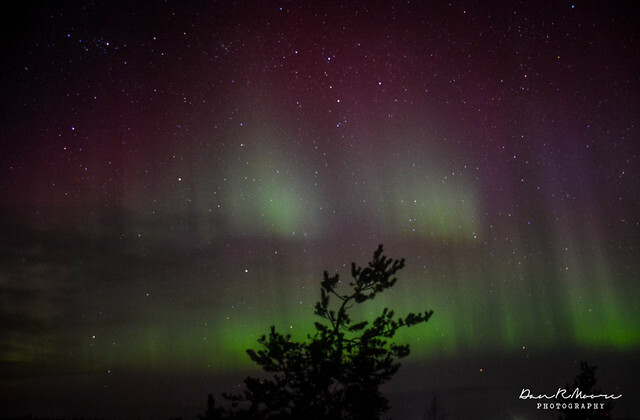 Great photo tips, I’m definitely book marking this post in case I ever get the opportunity to potentially see the northern lights ~ my mum really wants to see them from Norway, but it’s just a case of timing and saving up enough for the trip. This is fascinating! I had no idea that they could look so different than the photos suggest, but of course it makes sense. That picture with the green swath cutting through the sky above the teepee takes me right to Lyra’s world in His Dark Materials! Thanks Sam! Yea we didn’t realize just how powerful the difference was! For me it was no problem, but a few times Casey felt like we were looking at two completely different scenes! Never heard of His Dark Materials… going to have to go check it out! It’s a trilogy of fantasy books by Phillip Pullman, the first one is called The Northern Lights (or in North America, The Golden Compass). Meant for children, but like Harry Potter, has a wide appeal. I really enjoyed them. Ahh I have heard of the Golden Compass. I’ll have to check the rest out! What beautiful photos!! I have seen the northern lights in Canada but I never captured them as well as you guys did (at the time, I wasn’t too savvy with the DSLR camera)!! Great tips on capturing great shots!! Thanks so much Constance! 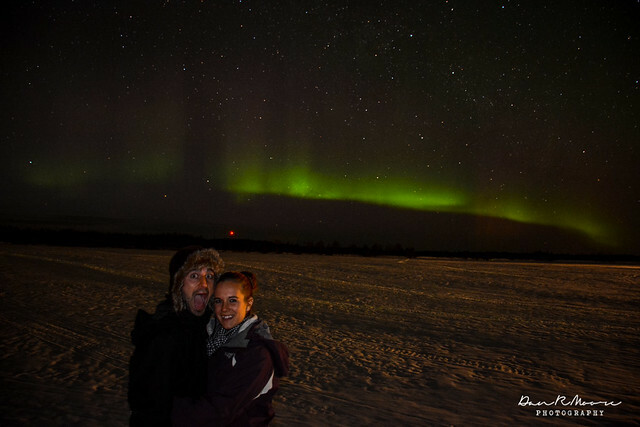 Glad to hear you were able to see the Northern Lights! Maybe you’ll get the chance to see and photograph them in the future! 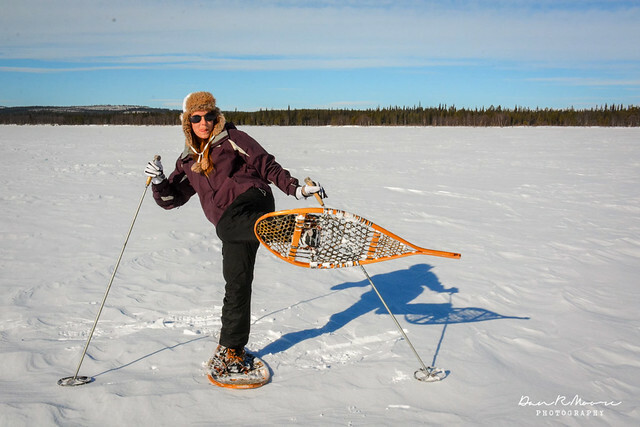 I love the old fashioned snow shoes!!! Did you feel secure in them??? You look like you had a wonderful time! 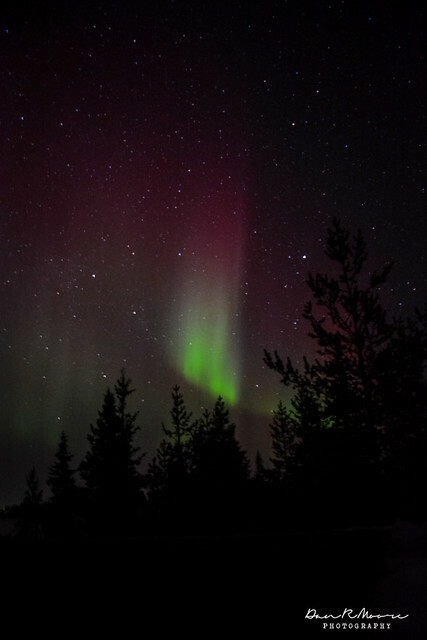 I saw the lights for the 3rd time this year, also in Swedish Lapland, in February. As you mentioned in the article, February this year was unusually cloudy all month, but I saw them twice in 5 days (including the solar storm on Feb 27th, although it had diminished by the time the clouds cleared). It had been super cloudy all day, but at 4am the sky cleared for an hour and we had an incredible show. Everybody else had gone to bed hours before and we were the only ones where we were staying to see them. You really do have to be prepared to wait up all night and hope for the best. They are amazing, and I want to see them many more times! How lucky are you guys to see them not once, but twice?!! This is most definitely on my bucket list and I’m currently upgrading my camera equipment so that I can go hunting them next winter. Thanks for sharing all these very helpful tips, I will be referencing this again! Really informative post! We would love to see the Northern lights sometime (but not sure where yet). Will definitely refer to this post if we ever decide to go for it. The Travel Sisters recently posted…How to Travel for Free â Beginner’s Guide To Travel Hacking: Which Frequent Flyer Programs Should I Sign Up For? Thanks!! Hope you get to see them!! The lights should be on everyone’s bucketlist! We saw them on 3 out of 4 nights while we were in Abisko! One of the nights, the lights shone as bright as any picture we could have seen…and they moved and danced with reds and greens. We were perched on a ski lift when that happened and dont have a single picture…only memories. We want to go back to Iceland to see the lights again! I agree that going with a guide is better as they can better help us find the right spot far away from light pollution. Weirdly though, it didn’t appear when I went with a guide in Tromsø, but caught it myself when I was on my own in Lofoten Islands. The weather forecast was actually bad for that night, but I went out anyway just for the sake of practicing night photography, but then the night started to clear up!